Kamel Daoud: ‘I refuse to let fear take centre stage in my life’ - The Maghreb Times ! Kamel Daoud has changed his mind about Fridays. In The Meursault Investigation, the Algerian polemicist’s celebrated novel retelling Albert Camus’s L’Étranger from the Algerian perspective, the narrator describes them as the days “closest to death in my diary”, when the world is reduced to “testicles to clean and verses to recite”. But for the past two months in Algeria, Fridays have become the stage for an uprising against the two-decade regime of Abdelaziz Bouteflika, the 82-year-old wheelchair-bound leader who finally stepped down on April 2. 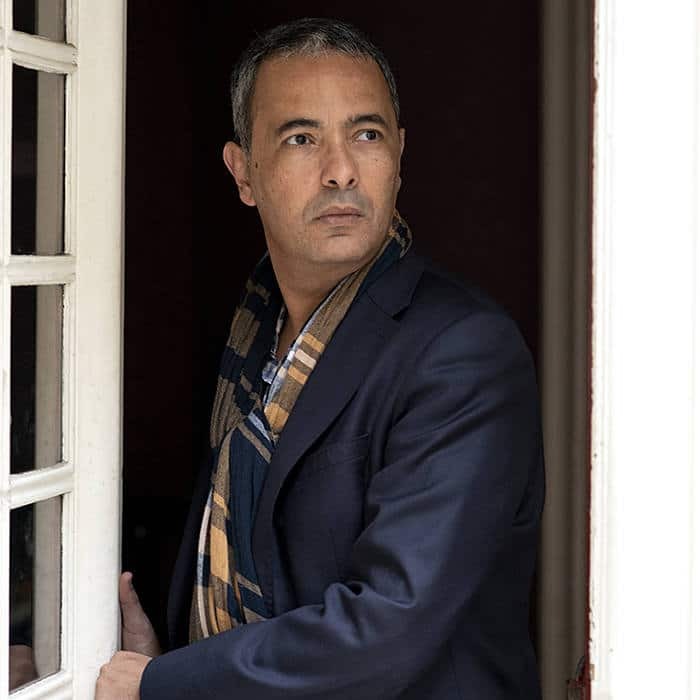 Daoud, who lives in Oran, Algeria’s second-largest port, stormed the literary scene in 2013 with the publication of The Meursault Investigation, a post­colonial bombshell of a book revisiting Camus’s 1942 absurdist chef-d’oeuvre from the viewpoint of the brother of the unnamed murdered Arab. The 48-year-old journalist at Le Quotidien d’Oran has since published another novel, Zabor ou Les Psaumes, a compilation of his most acerbic columns, and an essay on Picasso, released last autumn, Le peintre dévorant la femme. These are exhilarating times for the north African country, the continent’s largest by size. Scarred by a decade of civil war in the 1990s between Islamists and the army, the authoritarian regime, presiding over vast oil and gas reserves, seemed immune from the popular revolts that rocked neighbouring Tunisia and Libya in 2011, in what became known as the Arab spring. But when Bouteflika, who was left paralysed by a stroke, decided in January that he would seek re-election for a fifth time, Algerians rebelled, ultimately forcing the president to step down. Dissent mounted almost unnoticed, emerging in unlikely places such as football stadiums, where supporters started chanting the USM Alger football club anthem “La Casa del Mouradia”, a sleepless boy’s lament about the elderly president and his clique of advisers. In a country where the press is muzzled and visas for the foreign press are hard to obtain, the internet has been used to disseminate unrest. One of the slogans seen in demonstrations was “We are no longer on Facebook, we are in the streets”. Daoud caused an uproar in 2016 by denouncing the Arab world’s “sexual misery” and “sick relationship with women”, which he said led migrants to molest women during New Year celebrations in Cologne. “One hopes to experience love, but the mechanics of love — encounter, seduction, flirting — are prohibited,” he wrote in The New York Times. Even more controversially perhaps, Daoud is a staunch defender of France’s secular laws, which ban the public wearing of face-covering headwear, such as the burka, and forbid civil servants and state school pupils from wearing ostentatious religious signs. He says the US press “unfairly” portrays the recurrent controversies around the hijab as a mere manifestation of Islamophobia. France has a large Maghrebi population, he points out, and American liberals who criticise the French dislike for the veil would react differently if Latino women started wearing it. “I am between the two cultures. I have experienced the civil war and have seen how the Islamists behave, how they will portray women as victims to advance their cause,” he says. In France, a country still grappling with its colonial guilt — Algeria was a French département for more than a century and 1m colonialists were repatriated in 1962 — Islamist radicals have managed to link Islam and the Maghrebi communities. “The result is that if you criticise Islam, you attack the entire community,” he says. Islamists have also exported the idea that French laïcité is equivalent to atheism and betrayal. France is “trapped”, he says, and is unable to debate the place of Islam. He would like Algeria to move on from its colonial past and its fraught relations with France. “I am a child of the independence, not colonisation,” he says. “It’s as if you break up with your boyfriend but keep watching what your ex is doing for the rest of your life. It means you didn’t really break up,” he smiles.